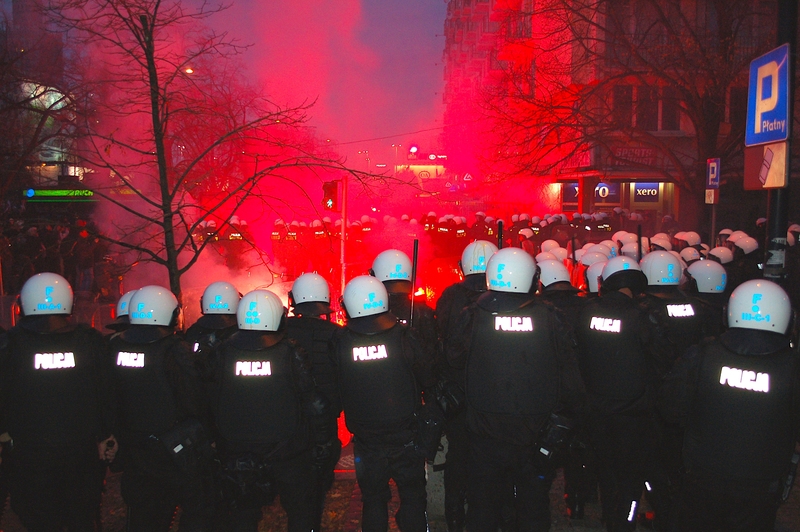 The streets of Warsaw risk becoming a battleground for neo-fascists and for Poland's EU reputation on Sunday (11 November) after local authorities banned a far-right march. "History, both Polish history and specifically the history of Warsaw," were part of the reason why she blocked the event, the city's mayor, Hanna Gronkiewicz-Waltz, told press on Wednesday. "Warsaw has suffered enough at the hands of aggressive nationalism," she said, referring to its destruction by Nazi forces in 1944. "The celebration of the 100th anniversary of regaining independence by the Polish state shouldn't look like this," she added. 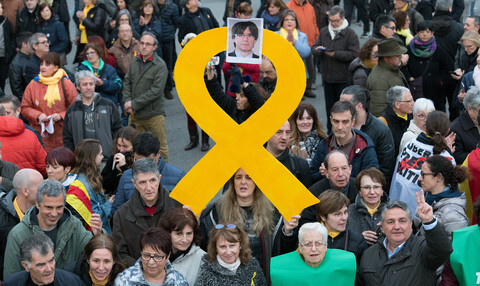 It attracted 60,000 people last year, including neo-Nazis from Italy, the UK, and further afield, some of whom chanted racist and anti-semitic slogans, carried banners with neo-Nazi symbols, set off smoke bombs, and damaged cars, shrubs, and pavements. The spectacle made Poland look bad after police did nothing to stop the agitators and after the Polish government defended what happened on grounds that only a tiny minority had misbehaved. 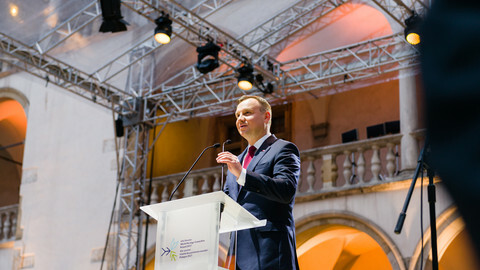 It came amid a wider clash between Poland's nationalist ruling party, Law and Justice (PiS), and EU institutions on rule of law and on migration. 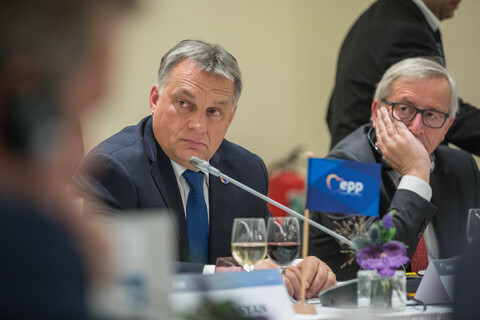 It was also referenced in a European Parliament resolution last month which called, by a large majority, for the EU to ban neo-fascist groups. Gronkiewicz-Waltz, from the opposition Civic Platform party, said on Tuesday that she had twice asked the Polish justice minister to ban ONR, that he had refused to do so, and that he had backed its plans for this year's rally. But the Polish president, Andrzej Duda, a PiS ally, and the prime minister, Mateusz Morawiecki, got behind her decision. They announced after a snap meeting on Wednesday that they would instead lead an official march, involving military vehicles, veterans, and boy scouts, on the same route as the ONR rally. "We invite all Polish women and men to take part," Duda's spokesman said. "It's going to be a national march, red and white, linked to the 100th anniversary of independence. Everybody dressed in red-and-white colours can take part. It won't be a march led by some organisation, so there shouldn't be any emblems that aren't linked to independence," he added, referring to the colours of the Polish flag. 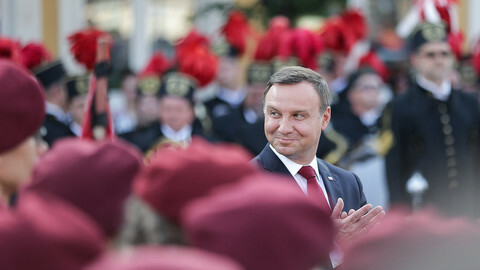 The Duda-Morawiecki decision followed an opinion poll by IBRiS for Polish newspaper Rzeczpospolita which said the vast majority of Poles would not want to join an ONR-led rally. 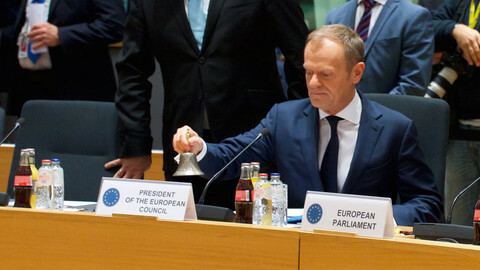 It also came amid PiS efforts to tone down its EU clash, by falling in line with an EU court injunction to halt its purge of Supreme Court judges and by staunch denials that it was opposed to Poland's EU membership. But the controversy still risks harming PiS' reputation if neo-fascists unfurl their banners in a crowd being led by Duda. It also risks making Poland look unstable if the ONR goes ahead anyway, prompting violent clashes with police. The group still has 24 hours to appeal Gronkiewicz-Waltz's decision in court. But its sympathisers and organisers vowed to hold their rally no matter what the judge said. "It [the ban] is like a knife in the back of the country ... a humiliation for patriots," Tadeusz Rydzyk, a right-wing Polish cleric and a PiS ally, said on his popular radio station, Radio Maryja, encouraging people to disobey the Warsaw mayor. 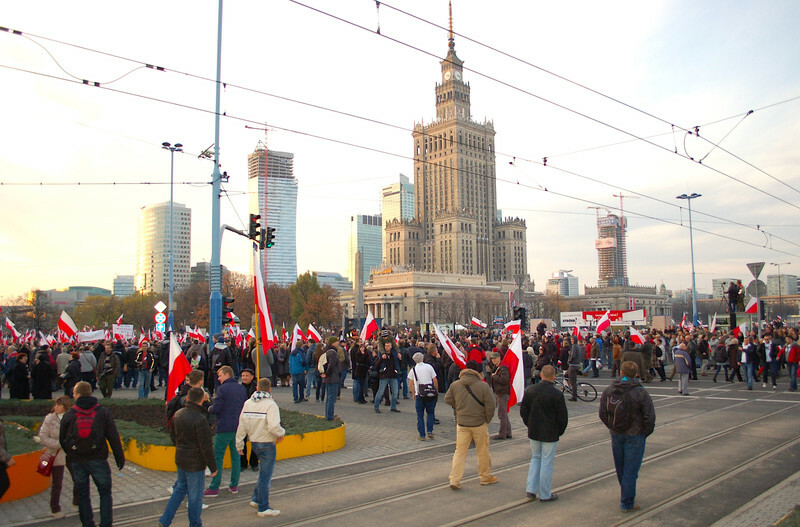 "The Independence March will go on the streets of Warsaw, even if it happens in the form of a spontaneous gathering," Witold Tumanowicz, the ONR deputy head, also told press. "Liberal bullying won't take away Polish people's right to celebrate," Robert Winnicki, the ONR head, tweeted on Thursday. "See you at 2PM on Dmowski roundabout ... it'll be the biggest march ever," he added, referring to a spot on the planned Duda march one hour before the official event gets under way. 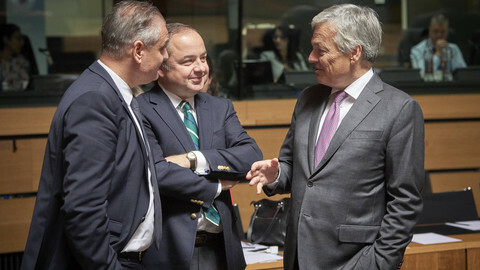 Poland and Greece have renewed calls for WWII reparations from Germany, testing European unity. The EU court went too far in ordering Poland to halt its judicial purge, the Polish president has said, as Warsaw prepares to host a neo-fascist march on Sunday. 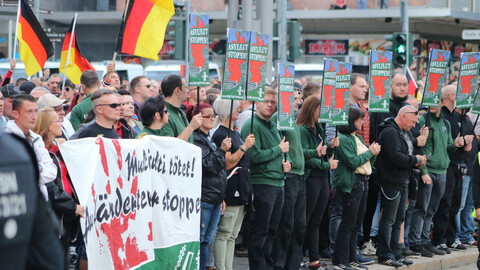 Germans, in particular those living in the east, are demonstrating higher levels of xeonphobia and backlash against religious minorities than when compared to five years ago, according to a new study. 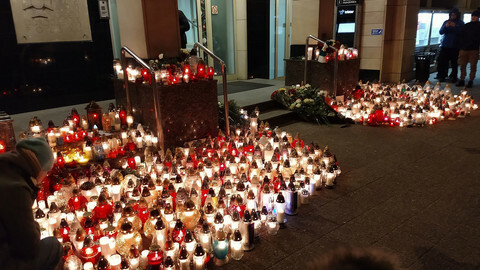 Poland has buried the murdered liberal mayor of Gdansk - but the funeral itself saw more of the same kind of hateful rhetoric that may have led to his murder.